This items is lightly worn and pretty much like new. 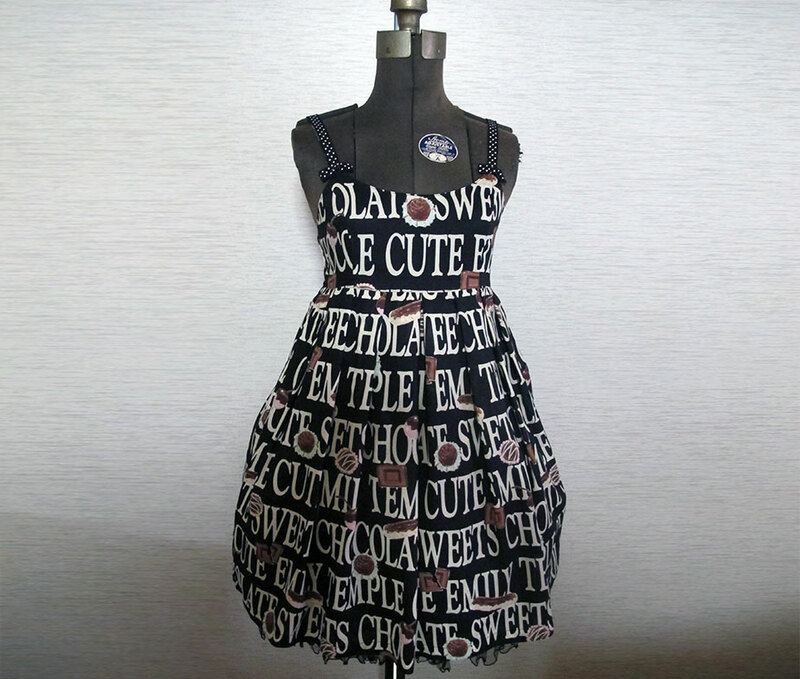 Very cute print from otome brand Emily Temple Cute featuring bold lettering with cute little chocolate sprinkled throughout the print. Fully back shirred, making it good for a variety of sizes. 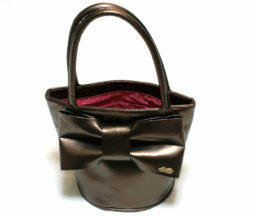 Bucket style bag from Emily Temple Cute with big ribbon on the front. It has been used a handful of times but is in good condition. The color is a deep chocolate brown with pink dotted lining. Also has a gold ETC charm on the bow and gold “feet” bumps to protect the bottom when you set it down. 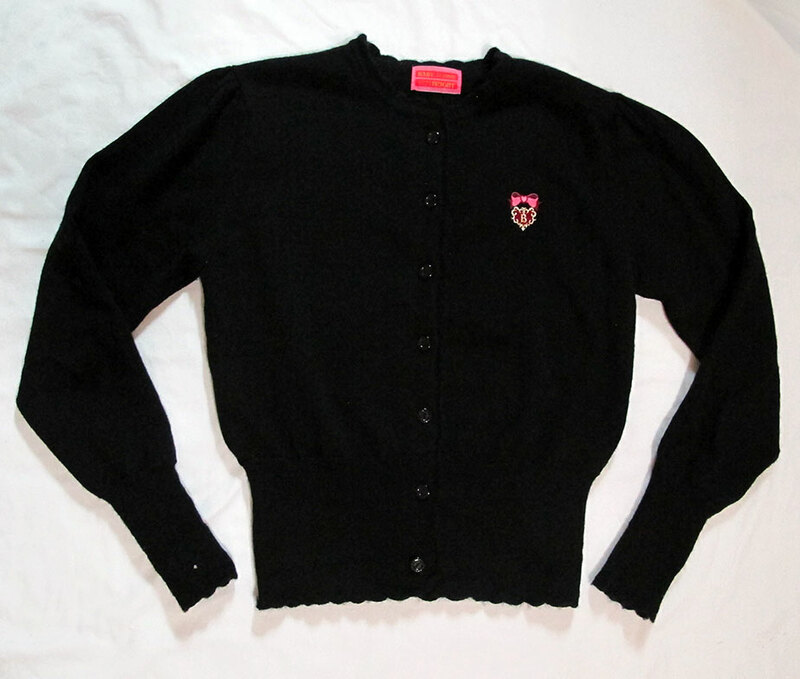 This has been worn several times, but is in good shape with no major flaws. Cute Baby logo embroidered on the chest. Simple design makes it easy to pair with just about anything.